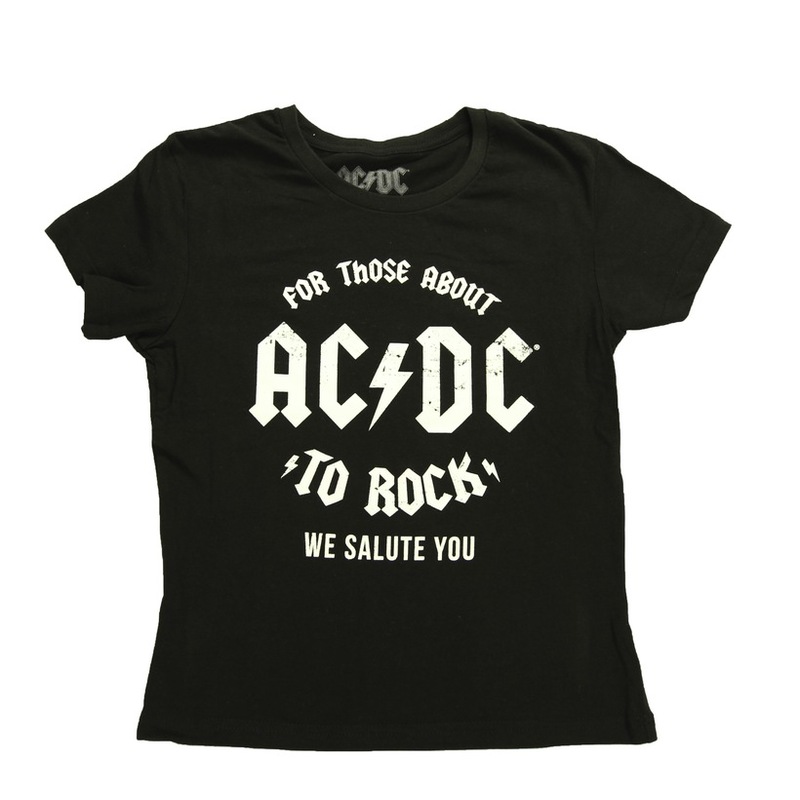 Juniors black t-shirt with white AC/DC logo surrounded by "For Those About To Rock We Solute You." My son's first ACDC tshirt. He loves it. 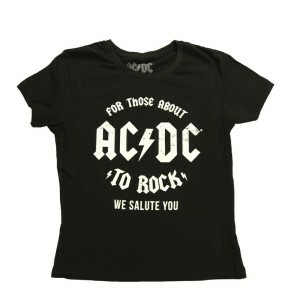 I wanted to buy my little girl her first AC/DC T-Shirt. The site has an enormous selection and we found several she loved. I ordered what I thought would be the perfect size but when it came in it was way too small for her. The return process was easy and straight forward and the customer service person I spoke with went the extra mile to make sure we got the right size, as quickly as possible. The credit on my pay-pal account showed up quickly and the replacement shirt arrived quickly as well. I give the site and people two thumbs up . Rock on!